March 19, Fineko/abc.az. This year Holcim's Garadagh Cement Plant, founded in 1949, celebrates its 70th anniversary. 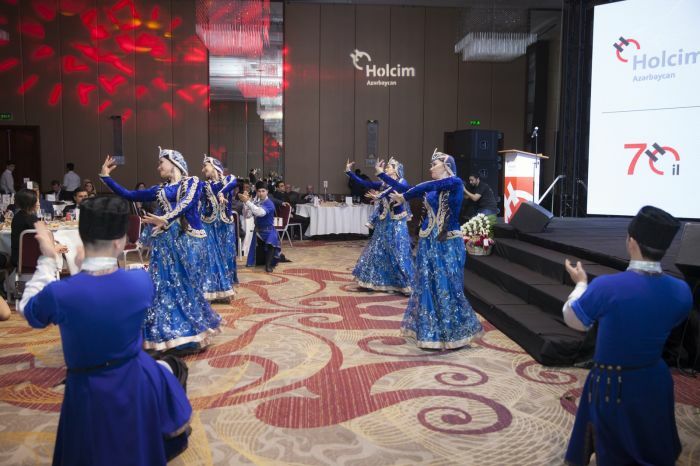 In the jubilee event held under the concept of "70 Years of History With the Future", lots of valuable guests, along with the partners of Holcim Azerbaijan, expressed their warmest wishes and congratulations to the company. 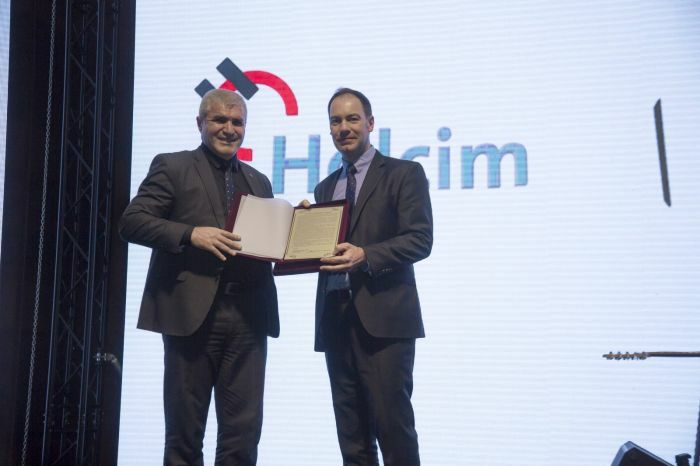 Holcim Azerbaijan management welcomed the guests of honor, gave a detailed speech about the company's recently implemented works, its policy, values and future plans. 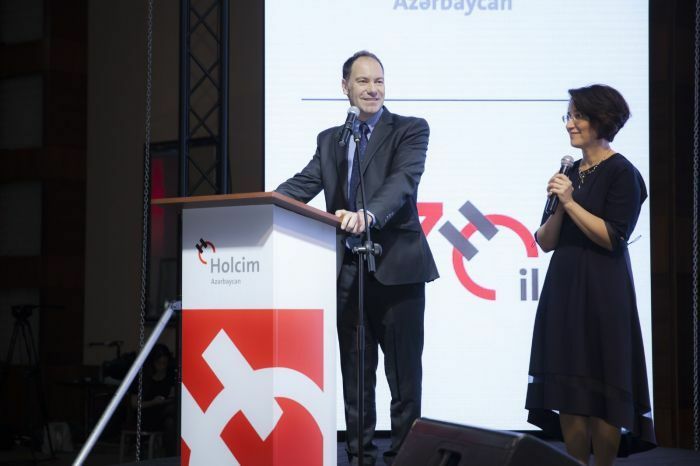 “Holcim Azerbaijan which has been pioneering lots of novelties in the course of all these 70 years, will keep its contribution to the production of high-quality products for projects that will have a positive impact on the country's economy. Let’s build together the foundation of tomorrow!”, said the CEO of Holcim Azerbaijan Frederic Guimbal at the jubilee event. The plant, known as” Garadagh Cement” brand in the Soviet era, today operates as Holcim Azerbaijan, which is one of the most advanced solution-provider for the most innovative production of clinker, bulk and bag cement products. With its global experience and quality, quite a lot of modern buildings and infrastructural projects were realized in the country with the cement produced and supplied by Holcim Azerbaijan. Heydar Aliyev International Airport, Port of Baku in Alat, Crystal Hall, Baku Olympic Stadium, Koroglu junction, SOCAR, SOFAZ and AZERSU administrative buildings, New Boulevard, new Baku Metro stations and Baku Shipyard are among the best examples of the projects implemented with cement products supplied by Holcim Azerbaijan. The plant has a significant capacity to produce wide range portfolio of cement products for masons, as well as for strategic and innovative projects. 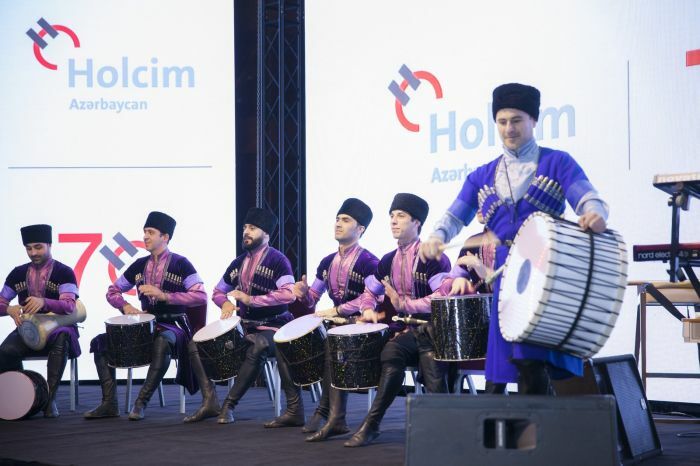 First and foremost, the core value of Holcim Azerbaijan is its employees. 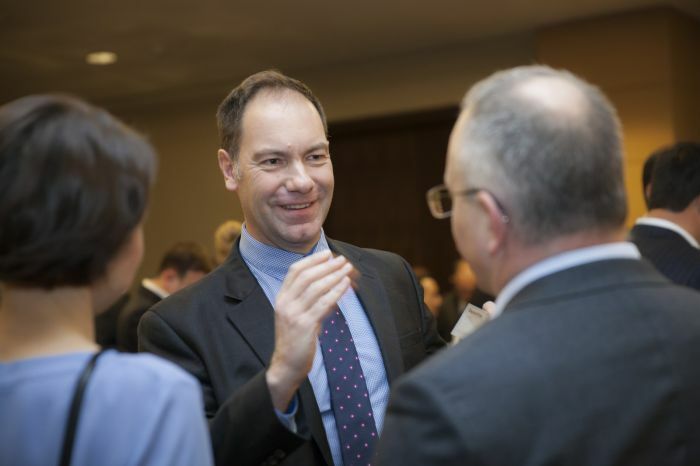 This sustainable teamwork boosts the perfect opportunity for the growth of professional staff. That’s the reason why dozens of Holcim Azerbaijan employees work in several countries around the world, both inside and outside the company. Alongside its glorious history of its staff, Holcim Azerbaijan has a sad story as well. Seven of Holcim Azerbaijan employees have become martyrs in the defense of our motherland. Based on international experience and customer satisfaction, the company also carries out production of various hydraulic based products. Production of road binders are widely used in road infrastructure within the country as well as in the countries of the region. Building together foundation of tomorrow!